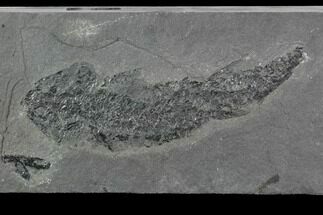 This is a 6.3" long specimen of the Early Devonian, "Lobed-Fin" fish, Osteolepis macrolepidotus. 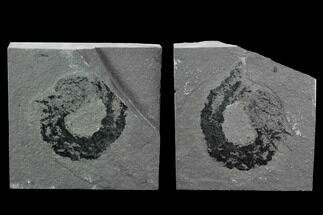 It was collected from the Sandwick Fish Beds in the Old Red Sandstone in the Orkney Isles of Scotland. 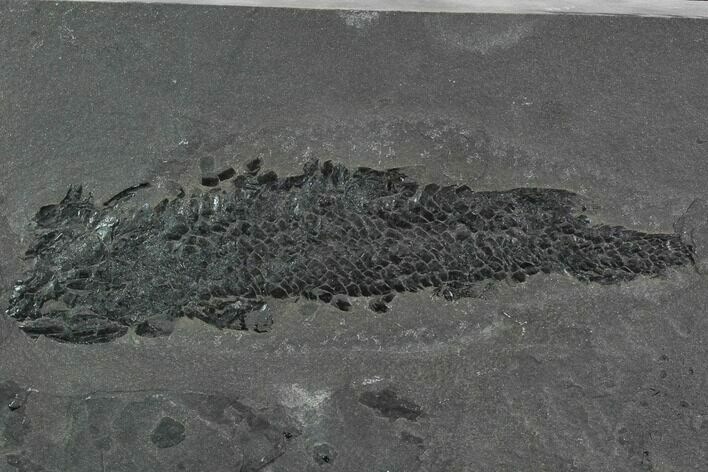 Osteolepis ('bone scale') is an extinct genus of lobe-finned fish from the Devonian period. 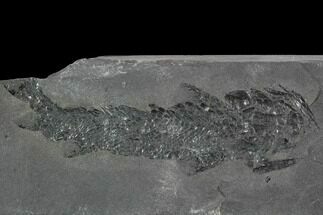 It lived in the Lake Orcadie of northern Scotland. 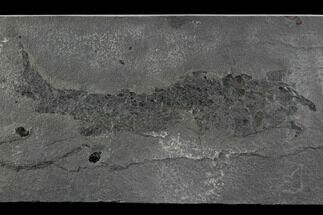 Osteolepis averaged about 20 cm (7.9 in) long, and covered with large, square scales. 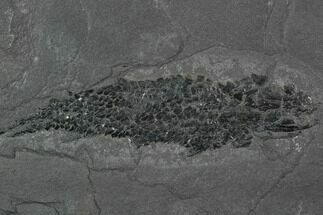 The scales and plates on its head were covered in a thin layer of spongy, bony material called cosmine. 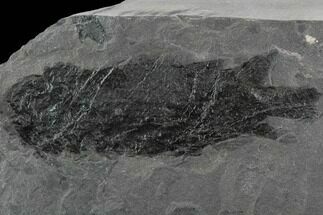 This layer contained canals which were connected to sensory cells deeper in the skin. These canals ended in pores on the surface, and were probably for sensing vibrations in the water.